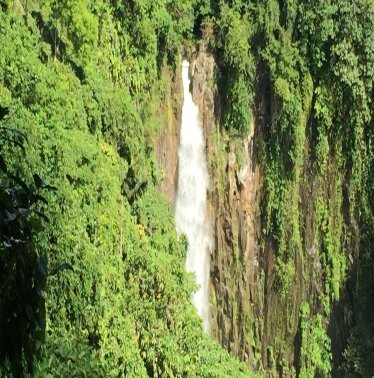 Buntot Palos Falls is located in Paguil Laguna province and offers a truly challenging hike through remote tropical forest, and is not for the faint-hearted! The meeting and registration area are located at Pangil Eco Park. Once registered, you must take a guide. There is a hiking trail, but you would be crazy to attempt this hike on your own unless you were a very experienced hiker. The hike takes around about 2.5hrs to make it to the waterfall, as you slowly ascend about 400 metres into the mountains. Although very challenging, it is extremely rewarding as you stand there listening to the water crashing down from above. Such is the force of the water as it smashes into the basin below it is almost impossible to hold a conversation due to the noise. 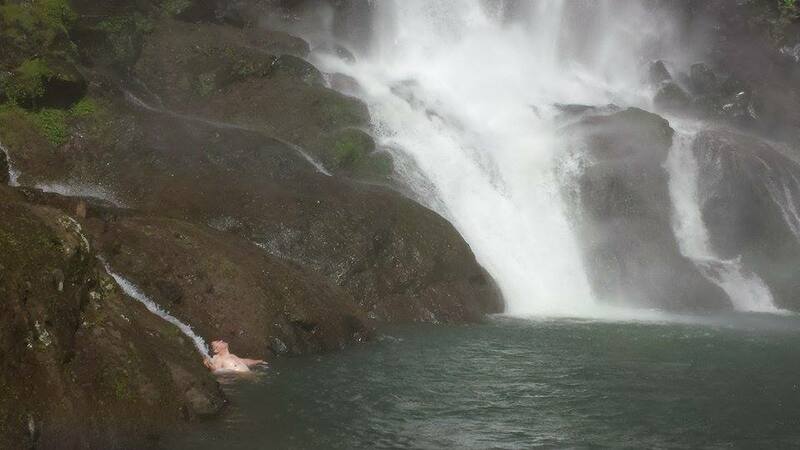 Swimming in the waterfalls – be careful! The rocks at the bottom of the falls are some of the biggest I have seen, and they come together to guide the flow of the water to another fall further downstream. This section is very dangerous and is best observed at a distance as you watch the water gush over the edge. It is quite safe to swim in the basin closest to the main falls but some care needs to be taken as it is very rocky underfoot. After the hot and humid hike, the water is extremely refreshing and is well worth a dip to cool off and relax. When we got back to the registration area at Pangil Eco Park, there is a nice inland resort which Pangil River runs through. 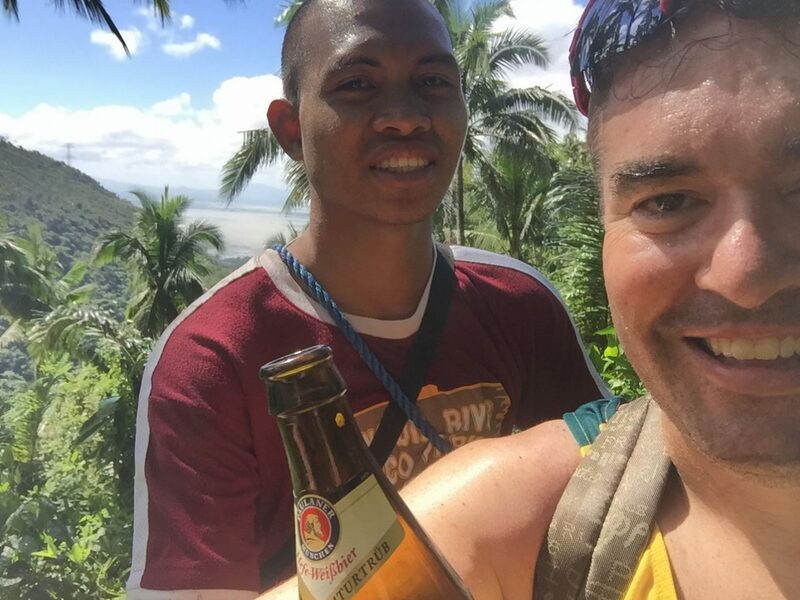 Feeling exhausted and looking very muddy, we took the opportunity to go for another swim in the river to cool off and relax, before cracking open some beers for the drive back to Manila. Registration Fee is P100. Tip for a guide of P200 is standard. All the guides are excellent and know every single pebble along the way and are a must-have. The approach to Buntot Palos Falls. You could hear the water crashing down from hundreds of meters away. The excitement was building once the falls were in sight. 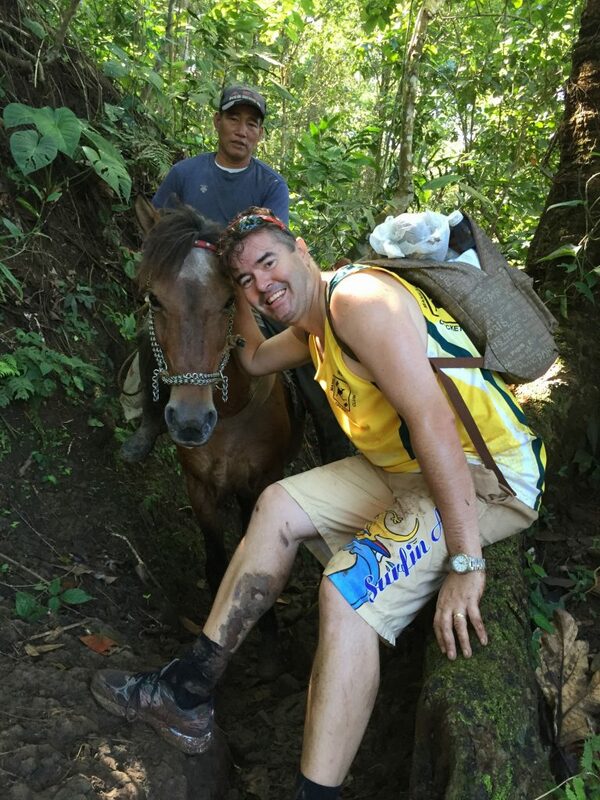 We did the hike in January and the terrain was still quite muddy and slippery from the wet season with some of the locals using a horse to get around. Relaxing among the thunderous falls after a gruelling 2.5 hour hike. An amazing place to cool off and take in tranquil surrounds. Finally made it to the majestic falls. I felt so small and insignificant compared to this roaring, 30-metre monster. My guide for the day, Jun, was an absolute legend. He was with me every step of the way, helping and guiding through some very difficult terrain. Buntot Palos falls is about 75kms from Makati, going around the north side of Laguna De Bay (R5), and is about a 3 hour drive. The landmark area to look for is Pangil Eco Park. 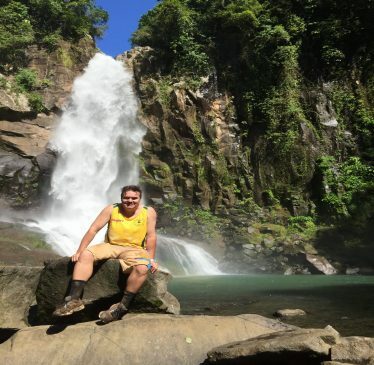 Make sure you are well prepared for the hike with plenty of water, and make sure you pack a towel and change of clothes so you can take a dip at the waterfall. Believe me, you will need it when you get there! Make sure you have good running shoes or hiking boots also.